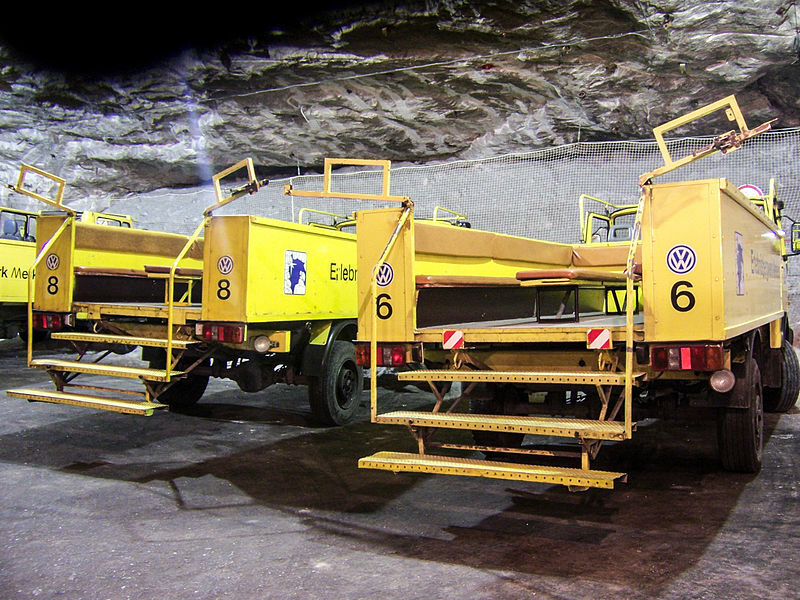 Join us on an exciting journey up to 800 meters deep into salt formations (mainly potash) in Thuringia. 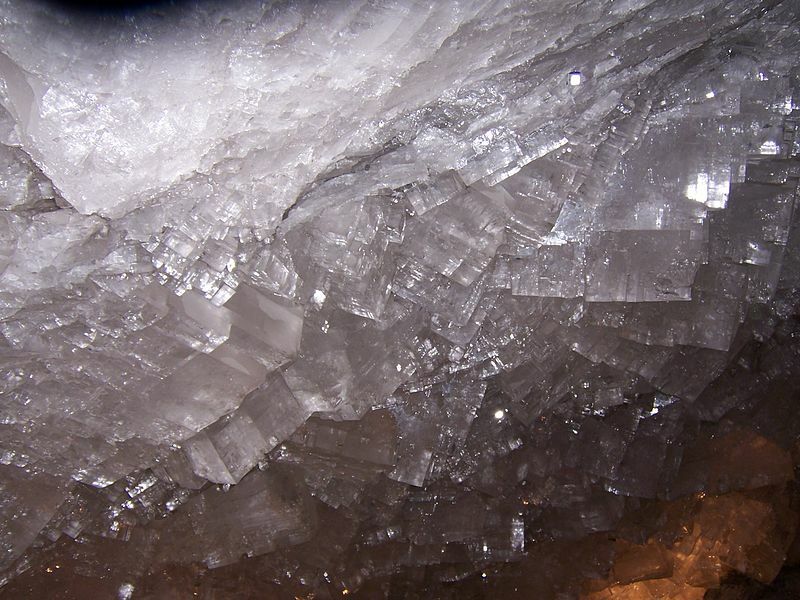 See the hall-like large bunker with the largest underground bucket wheel excavator in the world or the crystal grotto, discovered in 1980, a unique natural wonder, with salt crystals up to one meter edge length and a fantastic museum. See the Gold Room where at the end of the Second World War, the entire gold and foreign exchange holdings of the Reichsbank and art work of inestimable value was kept. Please register until December 10 by paying the participation fee at the International Office, Akademiestraße 6, room EG.20: 2 p.m. to 4.30 p.m. 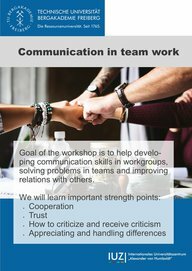 Description: Goal of the workshop is to help developing communication skills in workgroups, solving problems in teams and improving relations with others. Where? 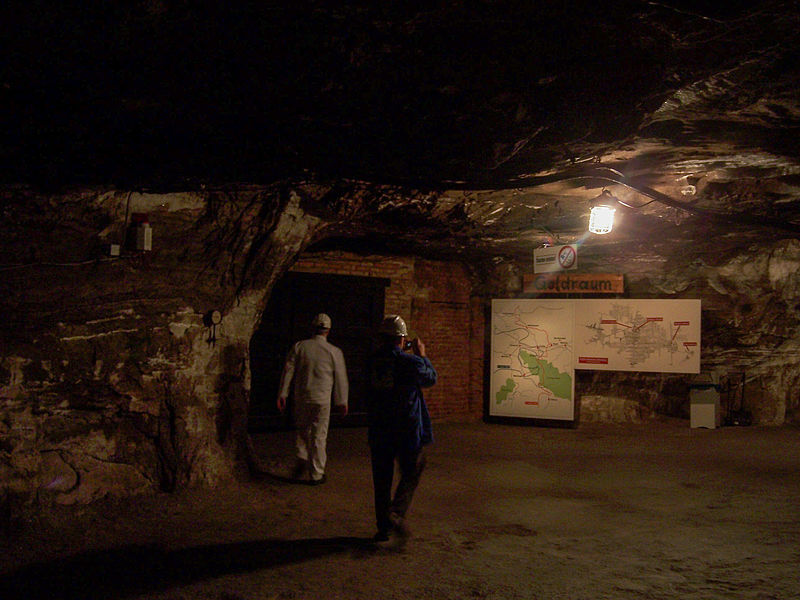 – The meeting point is in front of Freiberg Castle "Freudenstein" at 2.30 pm. Together we will walk to the mine.